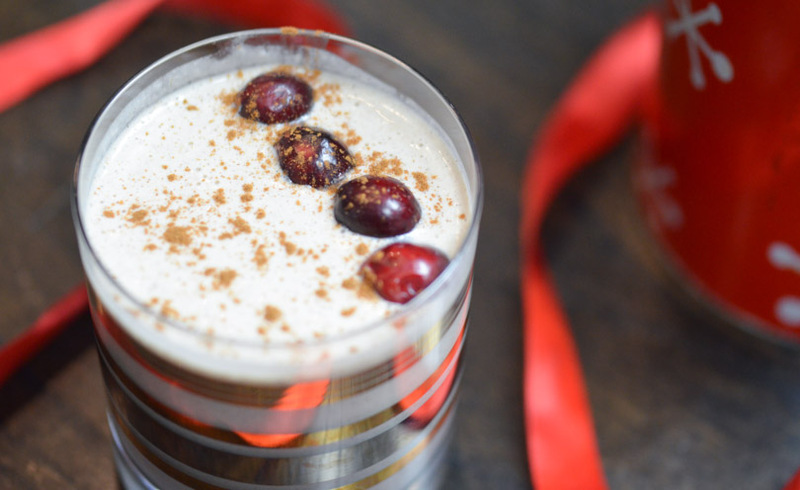 Thick and creamy vegan nog. If that is not possible, soak them in hot water for 30 min. Soak dates in hot water for 30 min. Add all ingredients into your Vitamix container. Run on high for 1-2 minutes. Add alcohol of your choice (or not). You can drink this as-is or add your favorite alcohol. We would suggest spiced rum or bourbon. That'll keep you warm! If you don't have time to soak overnight, put your cashews in hot water for 30 minutes before blending. Don't have the correct spices on hand? Throw some pumpkin pie spice in, it's pretty much the same thing.